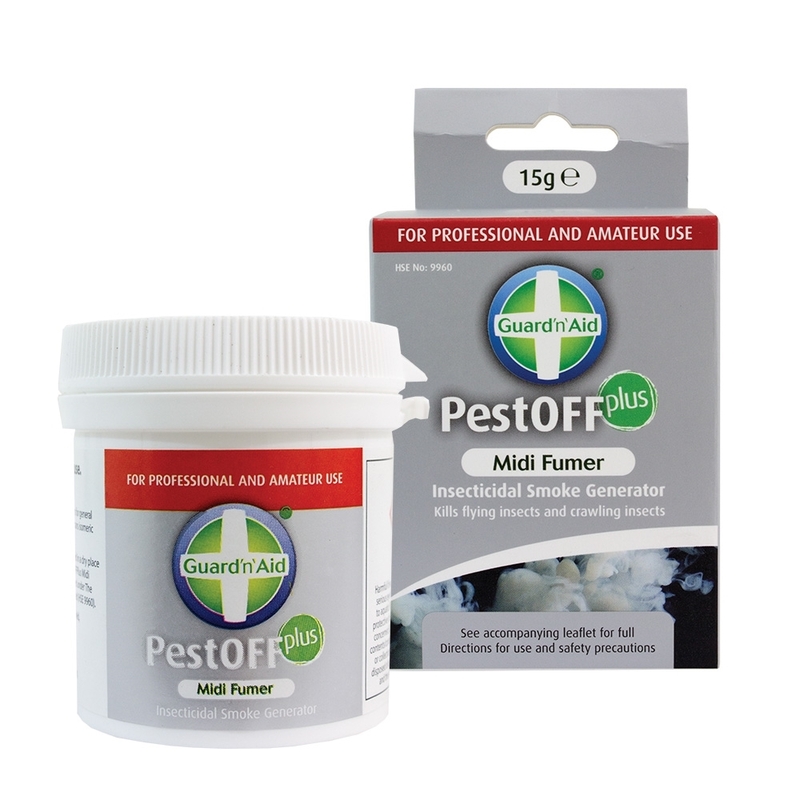 Guard 'n' Aid Pest Off Fumer is a 15g pot of Premethrin based smoke generator for use in controllong the attack or interference of crawling and flying insects which can become harmfull to crops. 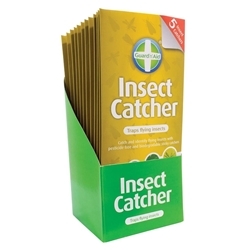 Pest Off is best for use in a controlled indoor environment such as growing rooms, tents, green houses and more.  Fumers work well to eradicte pest problems, we do recommend further prevention to ensure the same problems do not re-occur. 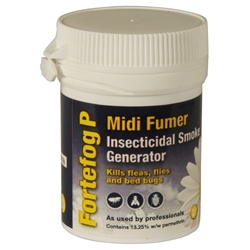 Pest Off Fumers work well, but can be harmful to pets such as cats and dogs, rooms should be evacuted for 4 hours once fumer is released, You should not inhale the fumes. Instructions should be followed in accordance to Guard 'n' Aid Instructions for use.